RUN ALT! RUN MICROLIFE! - ООО "Актив Лайф Технолоджи"
We are always looking forward to September, because for several years in a row the ALT team begins the first month of autumn with participation in the Minsk Half Marathon! The spirit of competition and victories (including in sports), as well as the love of a healthy lifestyle – this is what attracts us and “invites” to participate in such a grate sporting event in Minsk. This year there were already 220 people in our team of “half-marathoners”, once we started with only 8 – that’s such a nice statistics. In addition to the employees of our company, customers and partners joined the ALT team. 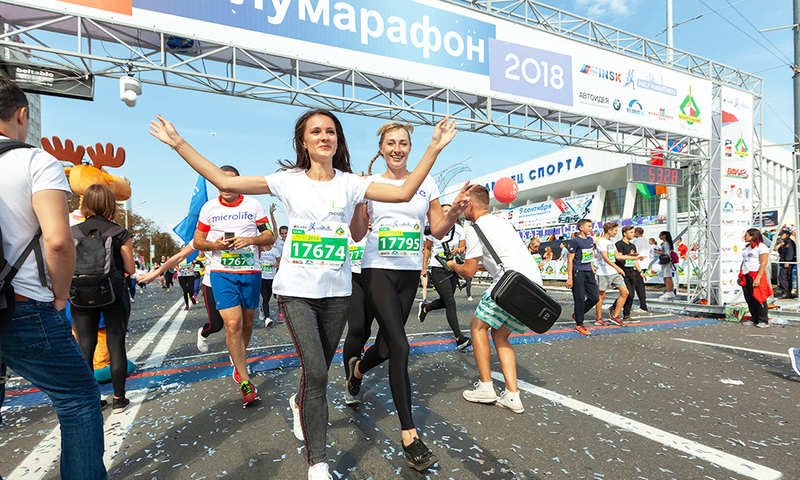 And all because in 2018 our favorite brand of medical equipment Microlife became the exclusive Life-Partner of the Minsk Half Marathon 2018, having gathered the best and most active in its team. The distance of 5.5 kilometers surrendered to all! This was facilitated by the friendly support, strength and energy, traditionally accompanying our team in all sporting events. Thanks to our partners who participated in this amasing run with us. This is a great happiness for any company, when you and your partners are “on the same wavelength” and striving for the same goals. We are always one step ahead, join us!